President Bush announces U.S. forces have begun a military operation into Iraq. "These are opening stages of what will be a broad and concerted campaign," the president says. That initial effort to "decapitate" Iraq's leadership with air strikes fails, clearing the way for a ground invasion. U.S., British, and other coalition forces quickly overwhelm the Iraqi Army, though elements loyal to Saddam Hussein who will form the core of a postwar insurgency fight on. 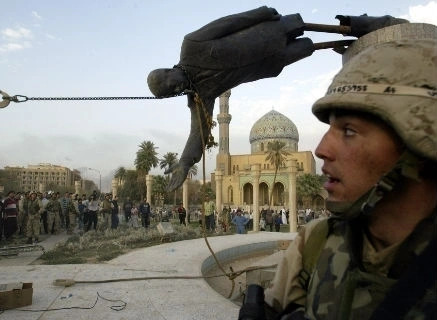 Three weeks after the invasion, Iraqi civilians and U.S. soldiers pull down a statue of Saddam in Baghdad's Firdos Square. 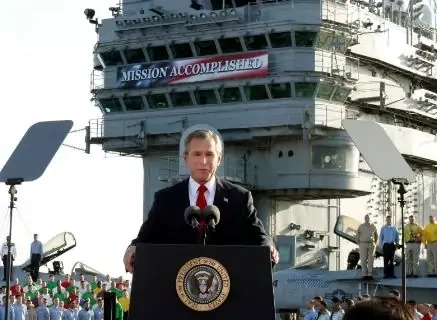 President Bush declares the end of major combat operations in Iraq from the deck of the aircraft carrier USS Abraham Lincoln. Lawlessness and some skirmishing in the country are written off as the desperate acts of "dead-enders" by Defense Secretary Donald Rumsfeld. 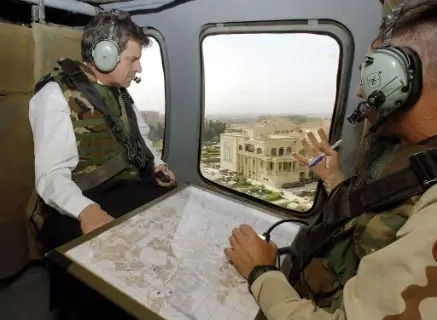 After two weeks on the job, L. Paul Bremer III, head of the Coalition Provisional Authority in Iraq, signs an order disbanding the Iraqi army and intelligence services, sending hundreds of thousands of well-armed men into the streets. The order, coupled with an earlier decision to purge Baathists from the government, has lasting repercussions. 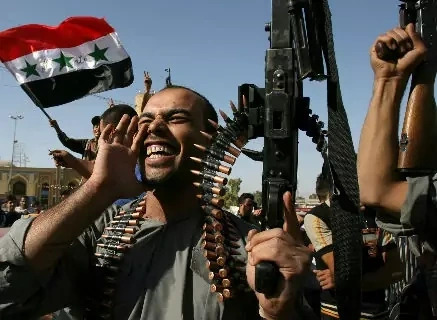 With violence beginning to coalesce into organized resistance to the U.S.-led occupation, Saddam Hussein's sons, Uday and Qusay, are killed by U.S. troops during a raid in the northern city of Mosul. The manhunt that led to their demise had yet to find Saddam himself or many of his top aides. 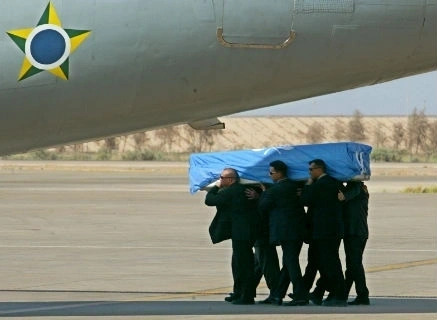 A suicide bomber driving an explosives-filled cement mixer destroys the UN headquarters in Iraq, killing in the process Sergio Vieira de Mello, UN special representative to Iraq, and twenty-two members of his staff. The United Nations immediately withdraws all nonessential employees. 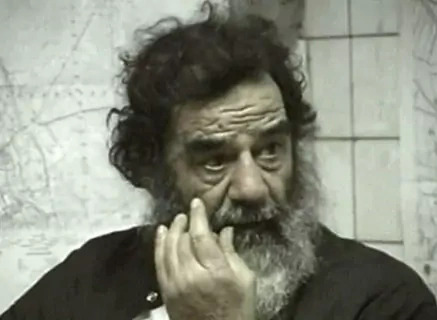 Acting on tips from the dictator's bodyguard and family members, U.S. troops find Saddam Hussein hiding out in a one-man hole near his boyhood home of Tikrit. The capture is heralded by military officials as a possible turning point, and Washington expresses hope that rising violence will abate. 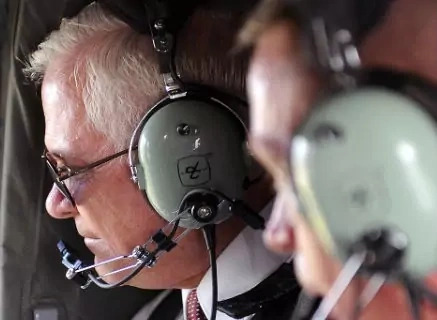 The Bush administration concedes its prewar arguments about extensive stockpiles of chemical, biological, and even nuclear weaponry in Saddam Hussein's Iraq appear to have been mistaken. 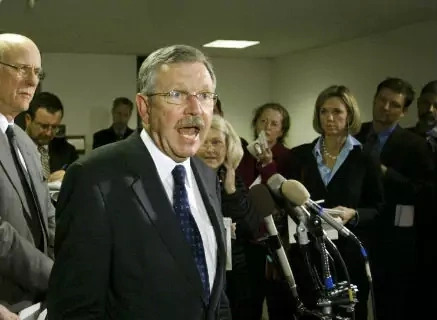 In January 2004, David Kay, the former top U.S. weapons inspector, tells Congress: "We were almost all wrong." A presidential commission concludes in March 2005 "not one bit" of prewar intelligence on Iraqi weapons of mass destruction panned out. Al-Qaeda in Iraq mounts a wave of suicide bombings, striking against Shiite holy sites in Baghdad and Karbala. The attacks kill hundreds, stoking sectarian resentment. In Fallujah, meanwhile, four U.S. contractors are killed, burned, and hung from a bridge, with video of the slaughter beamed around the world. Evidence of prisoner abuse inside the U.S.-run Abu Ghraib prison becomes public. Backed by photographic evidence, the conviction of seven soldiers for the torture and humiliation of detainees brings jail sentences. Critics, including some of the convicted, complain that senior officers and officials are spared. The kidnappers of U.S. businessman Nicholas Berg, citing Abu Ghraib, videotape his beheading and post it on a jihadist website. 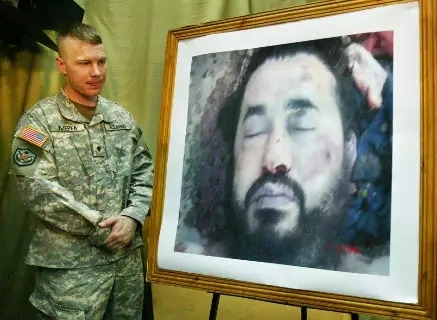 The U.S. government later claims Berg was killed at the hands of Abu Musab al-Zarqawi, the founder of al-Qaeda in Iraq. With Iraq's national elections approaching, fifteen thousand U.S. and Iraqi forces assault the insurgent stronghold of Fallujah in central Iraq. The urban fighting is successful but costly. Thirty-eight U.S. troops die, along with six Iraqi soldiers. 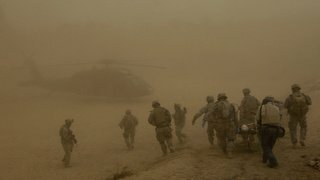 The Pentagon estimates 1,200 insurgents are killed, and the Red Cross says eight hundred Iraqi civilians die with them. Despite violent outbursts, 2005 is an election year for Iraq, and a sign of hope for Washington. 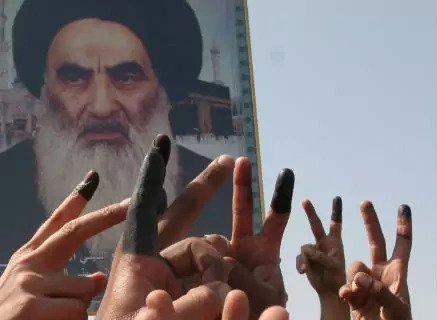 In the fall, Shiites flash victory signs—ink-stained fingers—in front of an image of Shiite cleric Grand Ayatollah Ali al-Sistani after voting in Iraq's constitution referendum. Two months later Iraqis vote for their first, full-term government, giving Shiites majority control of parliament. Sunni extremists destroy the gilded Shiite shrine in Samarra. The attack unleashes waves of sectarian violence in Baghdad's Shiite district of Sadr City that spread across the country. Analysts later point to the Samarra strike as the start of sectarian bloodletting. 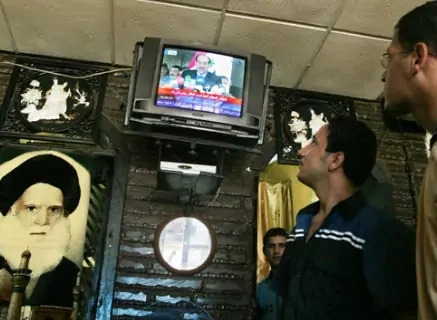 December 2005 elections bring the Shiite United Iraqi Alliance into power, and in April 2006, the party names Nouri al-Maliki prime minister. Maliki is a longtime Iraqi politician with close ties to Iran. He forms a unity government with Iraqi Kurds and Sunnis the next month. Abu Musab al-Zarqawi, leader of Al-Qaeda in Iraq, is killed in a U.S.-led air strike near Baquba. His bloody campaign of suicide bombings, kidnappings, and beheadings was deplored by American and Iraqis alike. Washington expresses measured optimism his death will dampen the insurgency. 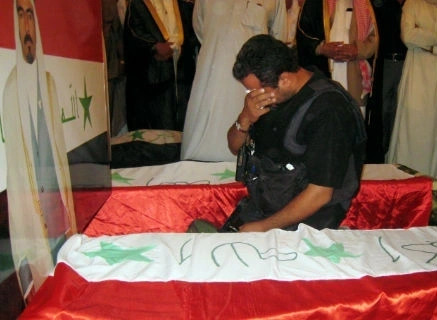 It is widely agreed upon that Iraqi civilian deaths peak in July. But estimates, which hover between 1,000 and 3,500 for that month, vary greatly. The Pentagon declines to keep such statistics. Independent analyses diverge greatly. The trial of Iraq's former dictator ends with a sentence of death by hanging. In the south, Shiites take to the streets celebrating. Sunni militants north of Baghdad vow revenge. 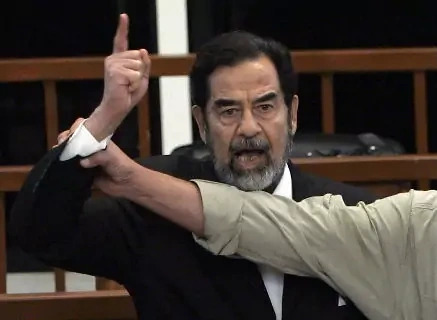 In the courtroom, a bailiff attempts to silence Saddam as the verdict "guilty of crimes against humanity" is dispensed. President Bush accepts the resignation of Defense Secretary Donald Rumsfeld, who had become a lightning rod for criticism of the conduct of the war. Rumsfeld's replacement, Robert M. Gates, assumes office the same day. 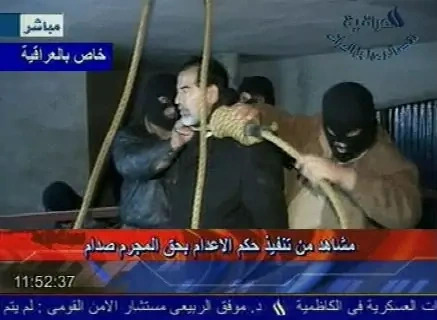 Saddam Hussein, clutching a Quran, goes to the gallows after a quarter-century of brutal, dictatorial rule. 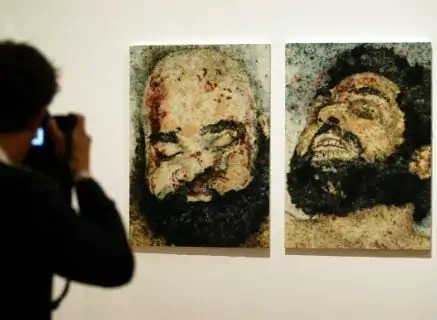 President Bush says Saddam received the kind of justice he denied the victims of his brutal regime. A widely circulated video capturing his abuse at the hands of his executioners, however, taints an already controversial verdict in some eyes. 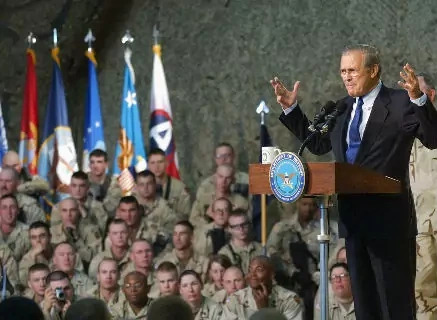 President Bush announces a "new way forward" in Iraq, vowing to commit an additional twenty thousand troops to bring stability in and around Baghdad. The Pentagon steps up its recruiting efforts in response, including the signing of newly naturalized soldiers like those, pictured here, who joined the fight during a ceremony at Camp Victory in July 2007. Gen. David H. Petraeus, fresh from leading a rewriting of U.S. counterinsurgency strategy, assumes command of U.S. forces. The West Point graduate takes over a tenuous security situation in Iraq amid allegations that neighboring Iran is supplying deadly roadside bombs to Shiite militants. U.S. forces begin recruiting Sunni tribe members, many former insurgents, to take up arms against militants working with al-Qaeda in Iraq. The so-called Awakening begins in Anbar Province but spreads to other parts of Iraq. 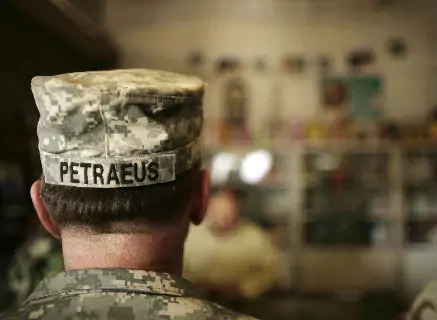 The tactic is credited by Gen. David H. Petraeus and others with helping diminish insurgent violence in the second half of 2007. 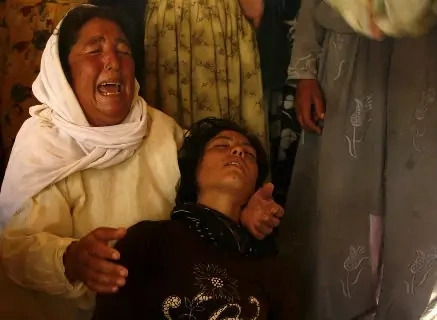 As security in Iraq's central provinces improves, hopes for calm in northern Iraq are shattered when coordinated suicide truck bombings decimate villages of minority Yazidis, west of Mosul. 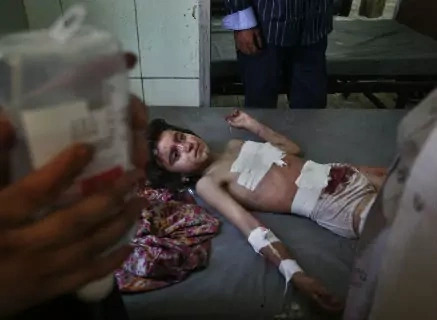 Hundreds are killed and wounded in the deadliest strike since the beginning of the war. With U.S.-assisted "Awakening Councils" making headway, insurgents target Sunnis now working with the United States. Ten days after meeting with President Bush in Anbar Province, Sheikh Abdul Sattar Abu Risha, the most prominent figure in the revolt, is killed in an explosion near his home. British forces relinquish control of Basra, Iraq's second-largest city, to Iraqi forces. The training and equipping of Iraqi security forces to take over security duties is a major coalition goal. 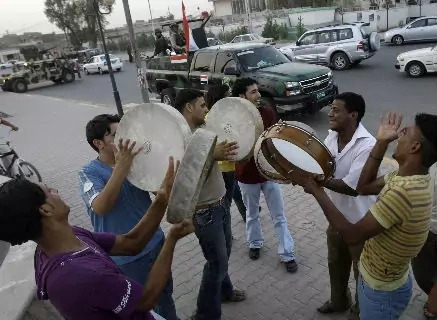 In spite of some progress in relatively quiet provinces, more than a year after Britain's handover in Basra, the city continues to be overrun by militants and criminal gangs. U.S. war casualties total nine hundred in 2007, making the year of the "surge" the deadliest yet for U.S. soldiers. 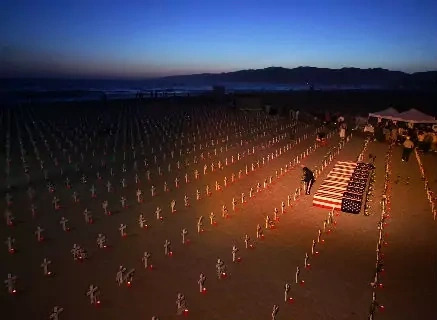 As the five-year anniversary approaches, nearly four thousand U.S. troops have died in the fighting, and an additional thirty thousand have been wounded. A new law reverses elements of the 2003 "de-Baathification" policy and allows some to return to government. But progress lags on achieving other "benchmarks" created by Washington, including an oil revenue-sharing law and new provincial elections. 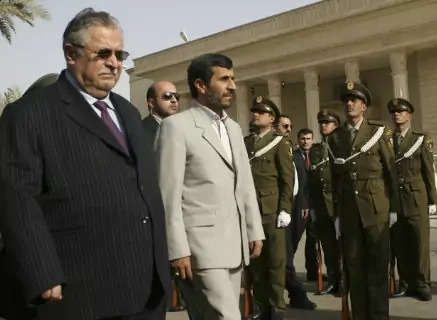 Iraq's Shiite-dominated government welcomes Iran's President Mahmoud Ahmadinejad to Baghdad, marking the first time since the bloody Iran-Iraq War of the 1980s that an Iranian president has visited. 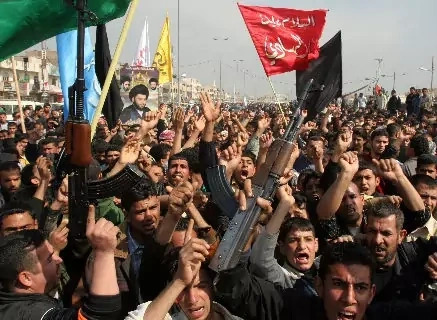 Baghdad and the southern port city of Basra erupt in violence as loyalists to Shiite Muslim cleric Muqtada al-Sadr attack U.S. and Iraqi security forces. In response, Prime Minister Nouri al-Maliki launches a crackdown on Sadrists, convincing some--though not all--that he is a national leader above sectarianism. 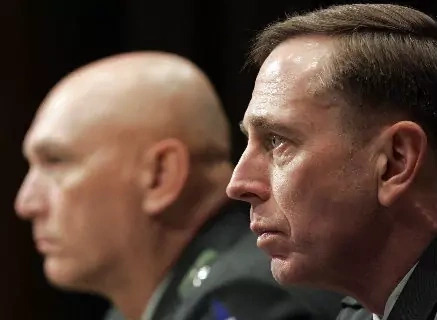 President Bush taps the U.S. commanding general in Iraq, Gen. David Petraeus, to lead Central Command, placing him in operational control of both the Iraq and Afghanistan efforts. Petreaus's former No. 2 in Iraq , Lt. Gen. Raymond Odierno, is named the new commanding general in Iraq. In Anbar, once the country's most restive province, the U.S. military hands over security responsibilities to the Iraqis. The move is seen as a symbolic first step toward eventual U.S. withdrawal. 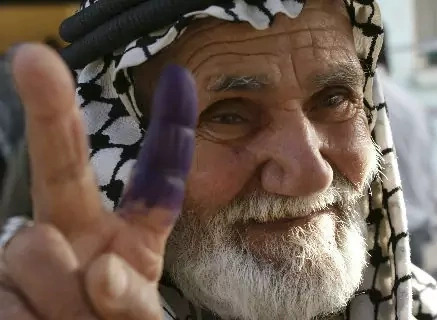 Later the same month, Iraq's parliament passes a provincial elections law, clearing the way for voting in most of Iraq's provinces by January 31, 2009. 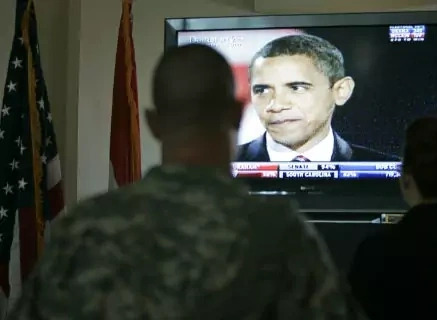 Barack Obama, campaigning on a vow to withdraw combat troops in Iraq within sixteen months of taking office, is elected the forty-fourth president of the United States on November 4. 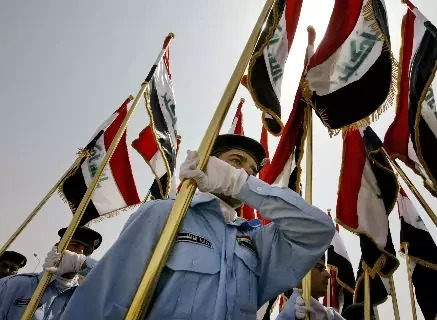 Three weeks later, the Iraqi parliament approves a pair of agreements outlining future military and civilian relations between Washington and Baghdad, confirming U.S. forces aim to withdraw by 2011. President-elect Barack Obama asks incumbent Defense Secretary Robert Gates to stay on. Gates insists his previous opposition to a withdrawal timetable was made irrelevant by the security agreement approved by parliament in November calling for a U.S. withdrawal by 2011. Making good on a campaign pledge, President Obama announces plans to remove combat brigades from Iraq by August 2010. 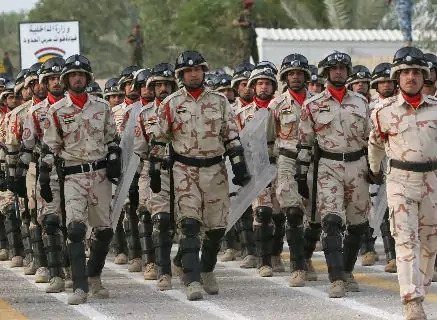 His plan will leave a transitional force of 35,000 to 50,000 soldiers and marines to train, equip, and advise Iraqi security forces until the end of 2011. 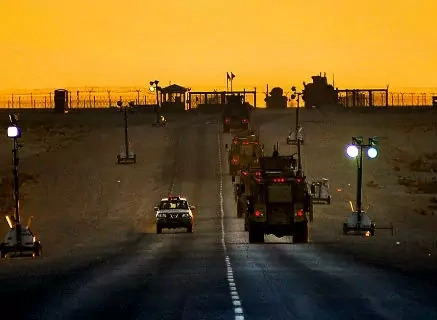 Seen by many as the beginning of the end of the war, some experts express concern over the pacing, and Secretary of Defense Robert Gates says Washington should be prepared to maintain a "modest-sized presence" after the 2011 deadline if the Iraqis request it. 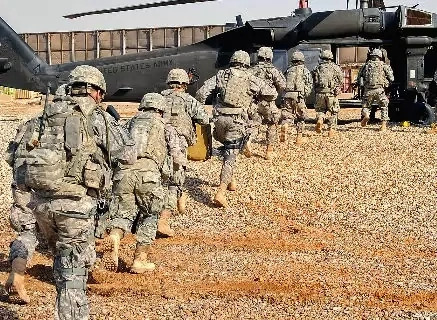 U.S. combat troops withdraw from Baghdad and other Iraqi cities in accordance with a Status of Forces agreement (SOFA) between Iraq and the United States. More than 150 U.S. bases and outposts in Iraqi cities were shut down ahead of the June 30 deadline. Prime Minister Nouri al-Maliki calls the withdrawal a "great victory," declaring a national holiday, while some Iraqis are skeptical about domestic forces' capabilities. 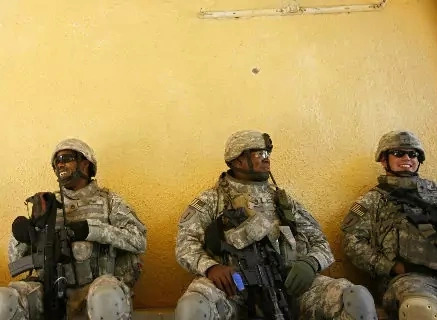 Prior to the withdrawal, some U.S. military officers also expressed concerns about Iraqi security forces' dependence on U.S. troop support and political leaders' overconfidence. Some exceptions to the withdrawal from cities had been negotiated, particularly in the troubled northern city of Mosul and certain areas of Baghdad. 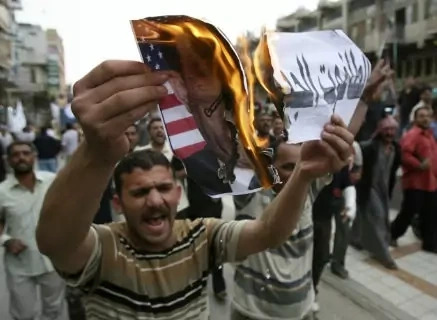 The SOFA, which set the June 30 deadline for withdrawal from cities, also sets a date for U.S. forces to fully withdraw from the country by 2011. December 2009 marks the first full month in which there are no U.S. combat deaths since the beginning of the war. May was the deadliest month of 2009, with seventeen combat-related casualties and an additional eight non-combat deaths. 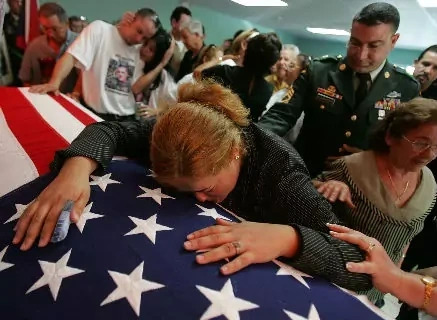 In 2009, 149 U.S. troops were killed in Iraq, the lowest annual rate of U.S. military fatalities since the U.S. invasion in 2003. Parliamentary elections are held on March 7 under stringent security by Iraqi forces. Dozens of explosions rock Baghdad and other Iraqi cities, but voter turnout is over 62 percent. Voter participation is down from 75 percent in the 2005 general elections, as some voters are deterred by fear of violence and doubts about democracy. U.S. officials call the elections a success and an important step toward withdrawing U.S. troops in the summer of 2010. More than 6,200 candidates from eighty-six lists participate in the elections, which showcase a power struggle between Prime Minister Nouri al-Maliki's Shiite coalition and former interim prime minister Ayad Allawi's cross-sectarian secular list. 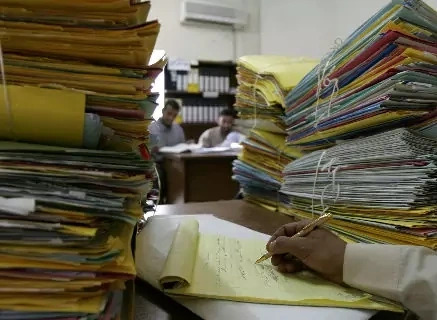 Some opposition parties make allegations of fraud, but diplomats and UN officials helping to organize the elections maintain there weren't widespread violations. 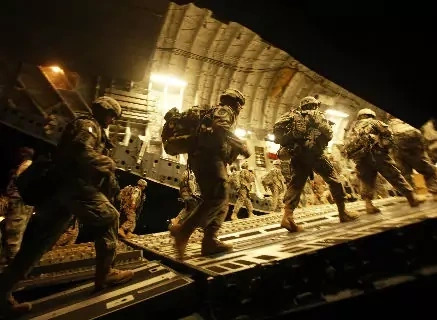 After more than seven years of war, 4,400 U.S. casualties, and tens of thousands of Iraqi civilians killed, the United States officially ends its combat mission in Iraq. In an address to the nation, President Barack Obama underscores the war's shared sacrifices while stressing that the United States will not abandon Iraq. "In the end, only Iraqis can resolve their differences and police their streets," Obama said. "What America can do, and will do, is provide support for the Iraqi people as both a friend and a partner." While combat operations are officially over, roughly fifty thousand U.S. troops remain to train and partner with Iraqi security forces. All U.S. forces are scheduled to leave by the end of 2011, though a recent uptick in violence and an ongoing political deadlock—six months after the March 2010 parliamentary voting, a coalition government has yet to be formed—prompts new calls for a reevaluation of Washington's withdrawal timeline. After more than nine months of political wrangling, the Iraqi parliament approves a coalition government forged by Prime Minister Nouri al-Maliki's State of Law party and several other factions. The agreement keeps Maliki as prime minister and Jalal Talabani--a Kurd—as president. But a power-sharing arrangement with former prime minister Ayad Allawi—whose Iraqiya party won a majority of seats—never takes shape. 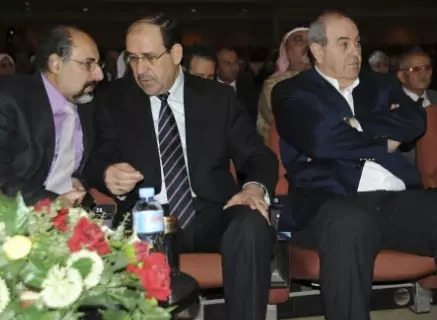 Maliki names thirty-four ministers to his cabinet, including rival Sunni politicians, which U.S. officials say reduces the chances that "disaffected Sunnis will split off and resume sectarian warfare." But Maliki refrains from naming heads of the defense and interior ministry, appointing himself the interim head and causing concern about a growing centralization of power. U.S. officials cite the acrimonious relationship between Allawi and Maliki as an obstacle to U.S. troop withdrawal and combating terrorism in the country. In accordance with prior security agreements, President Barack Obama announces that the remaining thirty-nine thousand U.S. troops will return from Iraq by the end of 2011, marking a conclusion to the nearly nine-year war and "a new phase in the relationship between the United States and Iraq." The president's speech follows the failure of U.S. and Iraqi negotiators to reach an accord on a residual contingent of U.S. trainers. 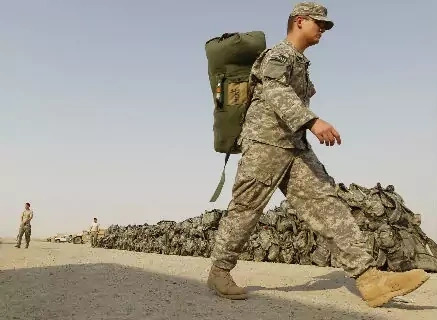 However, Prime Minister Nouri al-Maliki indicates that Iraq will be open to further dialogue on the issue, including on the size of the U.S. training force, the nature of their mission, and the duration of their stay. The primary bone of contention remains the question of legal immunity for U.S. trainers. 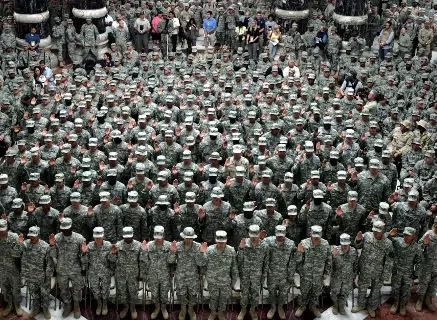 The last U.S. soldiers leave Iraq, ending a nearly nine-year military mission. Since 2003, more than one million airmen, soldiers, sailors, and Marines served in the country. 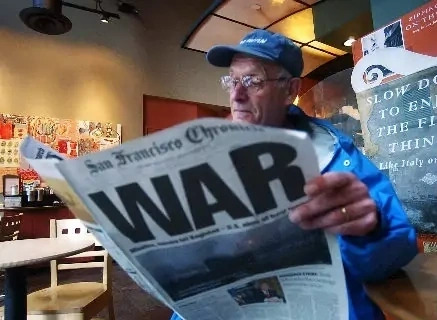 The costs of the conflict were high: $800 billion from the U.S. Treasury, with nearly 4,500 Americans and well over 100,000 Iraqis killed. U.S. troops brought the mission to an official close two days prior with a ceremony in Baghdad. Military forces will be succeeded by a diplomatic mission charged with overseeing U.S. interests in a country still struggling with security problems and deep-seated sectarian divisions.